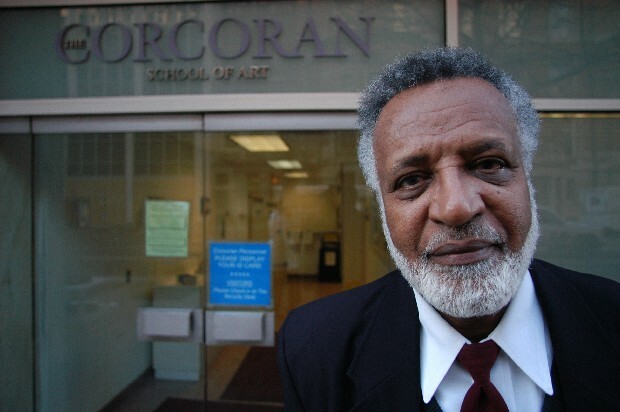 This is Adam, a security guard at the Corcoran College. I talk with him and say hello when I go into the school. Adam came here from Egypt as a political refugee. I joked (hardly) that recently the U.S. itself has it's share of political prisoners. Adam is a good guy nonetheless, and having lived here a number of years he will soon be a U.S. Citizen. 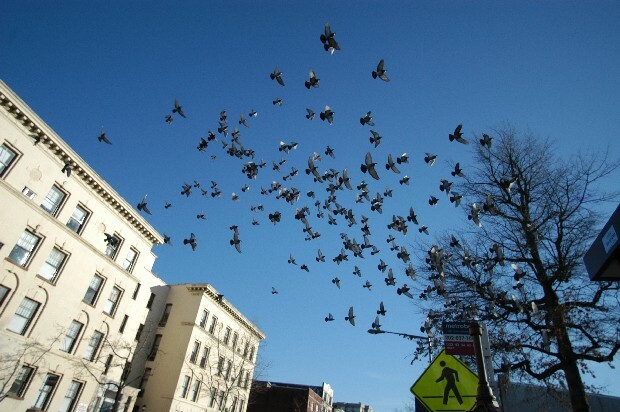 The flock of pigeons in Mt. Pleasant is much more active in the cold weather. I might be more active in the winter sometimes. It's nicer to walk in cold weather because there's less people on the sidewalk.